West Bengal chief minister Mamata Banerjee has called the order a "moral victory". 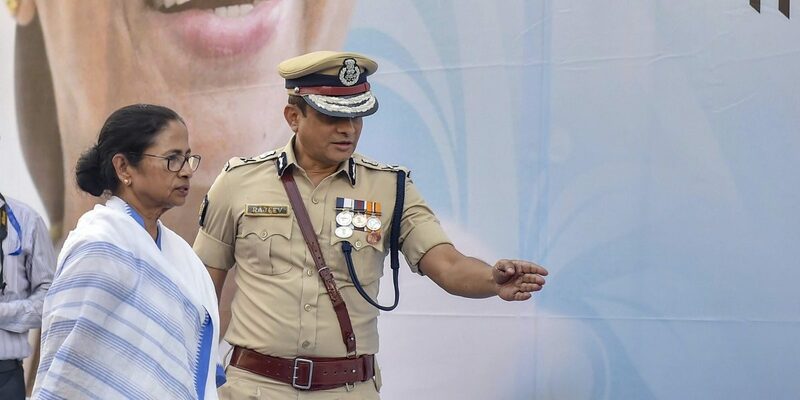 Kolkata: The Supreme Court said on Tuesday that the police commissioner of Kolkata, Rajeev Kumar, should appear before the Central Bureau of Investigation (CBI) in Shillong, Meghalaya – a neutral place. This came after the central investigative agency filed a plea in the apex court against the city police commissioner, alleging the destruction of electronic evidence related to the Saradha chit fund scam case. The three-judge Supreme Court bench comprising CJI Gogoi, Justice Deepak Gupta and Justice Sanjiv Khanna also observed that Kumar can’t be arrested at this point of time. Right after the verdict was announced, West Bengal chief minister, who has been on dharna against the CBI’s actions since Sunday night, said that she “welcomes” the apex court’s order. Attorney General K.K. Venugopal submitted that there was a serious breakdown of law and order in the state. “Can the state police confront the Centre’s police, which is acting pursuant to the orders of this court?” he said. The AG insisted on the court hearing the contempt plea, and requested the bench to initiate contempt proceedings. The bench issued notice in the contempt petition filed by the AG against the West Bengal chief secretary and DGP and the Kolkata police commissioner. The court gave the three officials till February 18 to file their replies.